The day of the transfer assessment was finally here. I’d written previously about the requirements and outcomes for the transfer process (in week 30), so I knew what to expect, but despite this (and reassurances from my supervisors that I’d done enough preparation) I was still pretty nervous. Thankfully, the assessment is generally quite friendly, as well as being a good opportunity to chat about your project with experts from your field. Three gruelling hours later, I passed without revisions and had plenty of new information to follow up. As part of my transfer document, I’d submitted an essay about my research so far, a training plan, images of my work, and a number of online links. However, the work that the assessors seemed most interested in was this blog documenting my PhD process. Although I’ve found it a useful addition to my practice, I didn’t realise how much of a central factor it could be in my research, and it was encouraging to receive such a positive response to my efforts. In fact, the process of live publishing my PhD links directly to the idea of an artist publishing practice, creating stronger links between the theoretical and practical elements of my research and creating a more ’embodied’ text (where the format of the text reflects the content). In particular, the emerging field of Digital Humanities is one that seems to particularly reflect my interests, and is also currently championed by the book artist and academic, Johanna Drucker. Her collaboratively written book on the topic begins by setting out the parameters for digital humanism. This equates to asking how networked technologies enhance the possibilities for the production, interpretation and distribution of cultural products. Within this also exists the ethical question of processing and curating vast swathes of data including personal stories and experiences, otherwise referred to as the difference between close and distant reading. These kinds of enquiries open up new possibilities for my project, not only from a philosophical standpoint, through the use of the rhizome, but also in considering non-modern readings of the object through the application of network theory to material culture. In other words, the network as a contemporary computational device merely expresses a pre-modern way of seeing and understanding, whereby objects are context specific and reflect the relationships around them. In practical terms, this knowledge also enables me to comfortably connect my online and offline research activities under the heading of Digital Humanities in order to explore these networks through curatorial installations and digital archives. How do things become holy? So began the introduction to Sensing the Sacred: Religion and the Senses, 1300 – 1800, an interdisciplinary conference held at the University of York, exploring affective and sensory aspects of religious practice through material culture. The first keynote speaker, Christopher Woolgar, set up the themes of the conference, which seemed to be more specific to the senses in Western Christianity. The idea of sensory contamination was an overarching concept throughout the presentation, and explored the processes by which objects (and people) became holy or desecrated. To this end, the precision use of words for efficacy in consecrating objects was explored, but also the ways in which it was believed that these same words, actions and objects could be used to produce effects for unholy purposes. This required protective measures to be undertaken by the priest through various means, including the curation of sacred objects in reliquaries, rituals for desecrated hosts, and even the segregation of suicide victims, as they were believed to be contaminants to cemeteries due to dying ‘unconfessed’. Unlike the last PGR conference I attended, this one was separated into parallel sessions, meaning I had to choose the sessions that I wanted to attend. I’d read the conference abstracts before arriving at York and was interested in following my previous interests of gestural performance in material culture. However, after hearing the keynote speech, I became interested in the different ways that the senses were experienced in medieval culture, so I opted for the papers on the more visceral sensations of taste and smell, as opposed to language based sensory media such as speech and gestures. Elizabeth Swann and Ruth Mullett explored medieval associations of the gustatory. Understandings of taste and appetites prevail as metaphors for knowledge and excess in our contemporary culture, but even more so in pre-modern cultures where taste also operates as a variation of touch. As taste is believed to reveal the presence of God, so each of the physical senses expresses a parallel spiritual sense in vernacular understandings at the time. As smell and taste sensations are prone to dangerous misinterpretation, sufferance against temptation was also encouraged, in order to gain heavenly scents in death. Alongside the content of the papers, both speakers also gave handouts containing the original Middle English text, which they recited and translated during their presentation. Although I had difficulty understanding the dialect, I found it an interesting way to allow transparency and further interpretation. Jay Zysk and William Tullett considered the use and metaphors of incense in ritual proceedings. Through the rising of the smoke, the incense acted as a metaphor for prayer which combined with the scent and the noise of the censer to create a synaesthetic experience. This excess of sensory information was intended to elevate the laiety, however, the same excess was also criticised for directing worship towards external pleasures and away from God. Similarly, incense was linked to the secular perfume imported from the East, metonymically standing in for the exotic or Other. This shared material history of incense and perfume was also present of the trading cards of perfumers which displays religious imagery. Although, the conference appeared at face value to be somewhat unrelated to my subject area, the information I obtained from the papers inspired me to think about new connections in my project. In particular, the areas of smell and taste in material culture seem to be rich in possibilities and less researched as aspects of contemporary art, so I am beginning to consider how I might use this in relation to my print and publishing work. I’m in another exhibition and this time it’s at the BALTIC Centre for Contemporary Art in Gateshead, which feels like something of a coup in artistic terms. The exhibition is a continuation of the 16 project, which was organised by AMBruno and has previously been exhibited in Leeds and Bristol. Now the 16 project had been selected to be part of the BALTIC Artist Book Fair, curated by North East based artist Theresa Easton, as part of an overall programme entitled ‘Fabulous Books, Fantastic Places’. The programme, spread over several levels of the BALTIC Centre, encompassed a range of bookmaking activity and exhibitions, including artist books, handmade stationery, photo books and zines. The marketplace on Level 1 was a hive of exhibition stalls and interactive archives. The exhibitions continued in the library on Level 2 with Yvette Hawkins’ collection of travelling suitcases, ‘The Book Apothecary’ and works by graduates of Cleveland College of Art and Design. 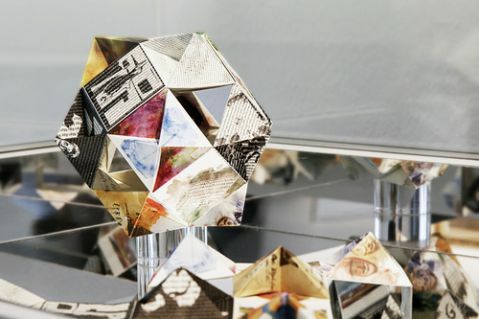 Sumi Perera’s exhibition of handmade books (15:1), which were created during her teaching visit at Beijing’s Central Academy of fine Arts (CAFA) in 2007, explored experimental book structure and paper engineering. Workshop practice was also integrated into the exhibition programme with ‘The Sunderland Book Project’, an exhibition of books created by workshop participants which explored print and bookmaking techniques in response to themes of storytelling, identity and social history. Recently when I’ve attended book fairs, I’ve tried to buy works for my own collection, as it’s a good way of collecting affordable artworks and it supports the artists directly. The two purchases I made from this fair were ‘Theory of the Celestial Motions’, a limited edition screen printed book based on Copernican astronomy by Theresa Easton, and ‘This is an Artist’s Book’, by Laura Little of Pink Parrot Press, detailing descriptions of artists’ books by authors in the field. I tend to use a number of factors when selecting books to buy including price, value (based on edition size, media, etc), aesthetic, function, relevance to my research, and even sometimes the friendliness of the artist. Each of the books I buy appeals to me for different reasons. 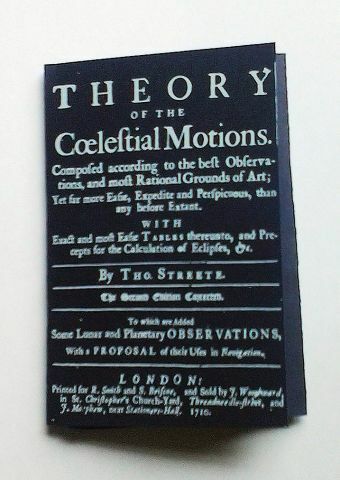 For example, the Celestial Motions book is interesting from an aesthetic and research point of view, as it uses historical sources of mapping and world view to create pseudo pocket guides as part of a contemporary book practice. The second book uses self-referentiality to explicitly investigate what a book is, a sort of meta artist’s book. Although I was only visiting for the day and had support from fellow invigilators, Julie Johnstone and Barbara Greene, I found it quite tiring, due to the sheer amount of visual stimulation and inspiration. It was fortunate therefore, to stumble upon Lucy May Schofield’s project, BABL (Biliographic Artist Book Library), a touring archive of books collected for their affective (and supposedly healing) qualities. As part of the installation, Lucy was on hand to discuss your needs and choices, as a sort of travelling apothecary. Each of the books had been purchased from, or donated by artists, and categorised according to meanings derived from conversations with the artists. I found the project really interesting, as it seemed to deal with a number of concerns related to the exhibition and interpretation of artists’ books, namely audience interaction; art vs artefact; affectiveness and agency. The conversations seemed to create more layers of meaning, and it would be interesting to see if and how those conversations permeate through later incarnations of the project. I’m starting to view the PhD as a template for future projects (as well as a project in its own right), so I’ve decided to think more about the kinds of project management structures I might learn and implement in order to keep track of the project and plan timescales for the different elements of the work. As usual, the University offers free training to support its PGR students by way of the Effective Researcher Programme, so I dutifully signed up for the Project Management Seminar with the hope that it would help me develop a more organised way of working. Something that often stops me making plans is the idea that once they have been made, they are somehow set in stone. However, on arriving at the seminar we were handed a learning journal which was intended as a personal guide where each person wrote their thoughts, feelings and lessons they’d learned about the necessary aspects of the project they were undertaking. This element of reflexive practice therefore confirmed the nature of project management as a framework which could be changed and developed throughout the life of the project. Aim: What is the scope of the research? Tasks: What tasks need to be done to achieve the aim? Risks: What could go wrong and how can you mitigate that? Organise: In which order do the tasks need to be done and are there external factors affecting this? Implement: Are there issues with implementing the plan? Review: Reflect on the research to identify if/where changes need to be made. After establishing the requirements of the project the next step was to apply project management tools to help shape the information into a more structured form. Mind mapping can help with idea generation, as well as seeing connections within the different elements of the project. The drill down stage helps you to breakdown each element of the project into straightforward tasks and actions. Risk analysis tools enable you to consider possible problems that may arise in the project in order to avoid them or minimise their impact. Finally, a Gantt chart creates a timeline for the project to be structured over and allows the options for different elements to occur simultaneously where necessary. The session was interspersed with group tasks which allowed us the opportunity to apply our new project management techniques, and finished with a plan to transfer this knowledge to our own projects, a task which I’m pleased to say that I completed in the form of my first ever Gantt chart.